I love Umi Shoes, and I think that they offer such quality and design for their footwear! I got an adorable pair of sandals for Cole to review, the Gecko (in chocolate/tan color) and I can't rave about them enough! I think Cole looks adorable in the Umi sandals and I love how these sandals are designed! The heel is covered, and the sides are open making for a great summer shoe. Cole loves wearing his new sandals, and they are easy to put on! Two velcro straps make it easy to put these adorable sandals on and off. I love how the toes are covered with the Umi Gecko sandals, too! Umi's shoes are made with high quality leather, which make the shoes last a long time. I think that Umi's shoes are very flexible and wear super! My kids love to run, and the Umi's last a long time. Don't these cute little baby feet look great in the Gecko Umi Sandals? I think these sandals make for the perfect summer wear! With my son walking/running this summer, I am so thankful that he has Umi on his feet! Umi shoes range in sizes for babies, toddlers and older kids. The sizes are in Euro, and the chart on their website is easy to understand to see what size your child would need. Thanks to Umi, my little toddler will be cruising in style and comfort this summer. I highly recommend Umi for your children's feet! To learn more about Umi, check out their website! I was sent a pair of Umi sandals to review. I was not compensated in anyway for my review. The opinions and statements in this review are of my own. I was given the product for my personal opinion and option to share with my readers. Spring is in the air, flowers blooming, trees budding...and bad weather could be lurking around the corner. It is important to be prepared when you face bad weather and your power goes out, or you are in your basement due to tornado/storm warnings. 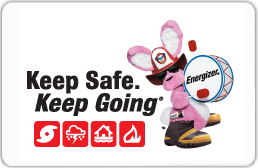 Energizer, the International Association of Fire Chiefs (IAFC) and the American Meteorological Society (AMS) are working together to help families prepare for whatever weather situations spring, summer and hurricane seasons might bring their way. A key reminder in preparedness is to use flashlights instead of candles if a storm knocks out the power. Many home fires are started by burning candles left unattended, with an average of 15,000 home fires caused each year. * I was sent the Energizer Tool Kit to review! I love this kit! It is packed with the essentials needed to prepare you for bad weather. The recommended emergency power kit includes a flashlight for each member of the family, a battery-powered radio for weather updates, a battery-powered cell phone charger to stay connected to loved ones and extra batteries, including those for critical devices such as insulin pumps, hearing aids and blood pressure monitors. The Energizer Weatheready flashlight has posted on it an important check list mentioning the important things to have ready for a storm or severe conditions. It is a very helpful check list. I really like the super bright LED light in the flashlight. The battery-powered radio included in the tool kit is so helpful, too. I think it gets great reception, considering it's size. I think that the mini radio is perfect to get information to the weather, but small enough to not be a burden. This kit also has plenty of extra batteries. Energizer Ultimate Lithium and Energizer MAX batteries (AA, and D) provide long-lasting power before, during and after the storm. Lithium batteries have a long storage life, perform well in extreme temperatures and are perfect for use in LED flashlights and other high-tech devices, while Energizer MAX batteries are an ideal power source for standard flashlights and lanterns. The battery-powered cell phone charger is a must in today's society. Most people have cell phones, and those phones are great because you don't need a land line. So, to have a battery powered cell phone charger, is extremely helpful. I love that this charger will just keep charging up to 500 times! Energizer is sponsoring a giveaway for my readers! You can enter to win the Energizer Weather Preparedness Tool Kit! The kit comes in a red bag and contains the types of items to think about including in a back-up power kit: battery-operated radio, flashlight, cell phone charger and extra batteries. To enter, just comment about something you like to have when you are facing a storm or power outage. This contest is open to those in the USA, bloggers and non-bloggers and will end on April 30th, 2010 at midnight. **For extra chances you can: blog this contest, add my button to your site, subscribe to my blog, twitter and/or become a fan on facebook, and/or visit everyday and add another friendly comment about Energizer and their awesome products! I was contacted directly by Energizer, who asked me for my participation in posting this information. I was sent a sample tool kit for posting a review, and offered this giveaway for my readers as mentioned above. I was not compensated for my time or written review. Fisher-Price, Inc. (a subsidiary of Mattel, Inc.) put a fun, digital spin on some of its beloved, iconic toys by launching its first-ever iPhone applications, enabling children to experience classic toys in an exciting new way. The Chatter Telephone toy (first introduced in 1962), See ‘n Say product (first introduced in 1965) and Little People Farm (the Little People brand was first introduced in 1959) applications, for ages 2-5, are available for download on the iTunes App Store now for $.99 - $1.99 each. Get ready for some dialing fun! Change from one of three screens (Numbers, Music and People in Your Neighborhood), by simply touching the Fisher-Price logo. In the “Numbers” screen, touch or swipe to hear the name of the number and see a quick dial. In the “Music” screen, select one of three instruments to hear it play as you touch the notes. In the “People in Your Neighborhood” screen, touch any of the nine people and hear them “ring you up” and tell you a little about themselves, what they do, and hear some fun sounds related to their jobs. Each occupation has three fun conversations. App features three activity screens, three musical instruments and their sounds, and fun facts from the “People in Your Neighborhood” with corresponding sound effects. The fun is just a spin away! Spin the virtual dial or move it to any picture of an animal and it comes to life with a quack, meow or moo and the name of the animal. The screen immediately transitions to a short video about the selected animal including fun facts. Spin the virtual dial again to see what animal the arrow will land on next. App features 12 animals, 48 videos, 48 facts and music and fun sound effects. Come on down to the farm! Simply swipe a finger over the screen to view the entire farm yard. Touch to discover animals and their sounds. Touch the tractor and watch Farmer Jed drive down the road. Touch the turtle to play a matching game. Touch Eddie and Maggie and watch them dance to fun music. Even tickle them to make them laugh! Touch the piggy as he jumps in the mud and swipe the screen to clean the mud from the screen. Touch the barn doors to enter and play a hide and seek game with Eddie, Maggie, Sonya Lee, Sarah Lynn and Michael. App features 25 touch-activated spots, three mini games, original music from Somerset Entertainment, Inc. and five Little People friends. Fisher-Price, Inc., a subsidiary of Mattel, Inc. located in East Aurora, N.Y., is the leading brand of infant and preschool toys in the world. The Company has an 80-year legacy of high quality toys that enhance early childhood development. 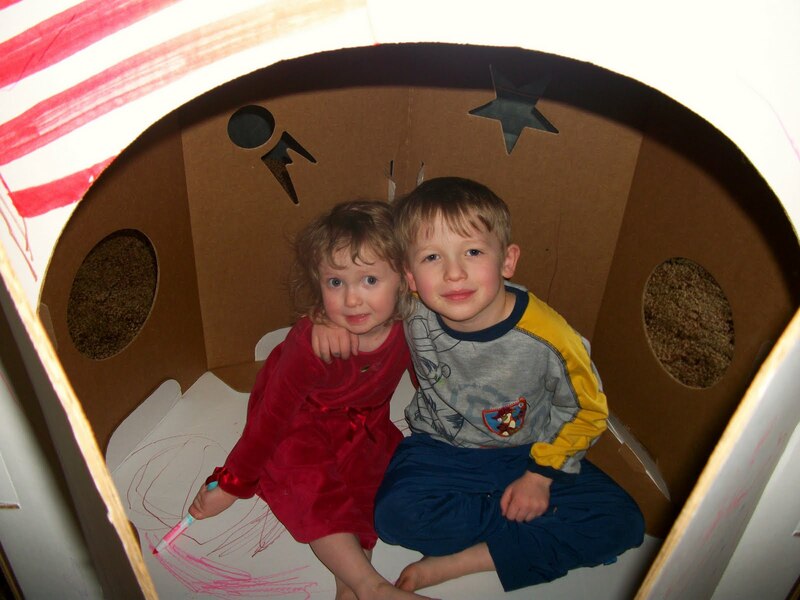 Its often-emulated Play Laboratory was the first child research center of its kind in the toy industry, allowing researchers to observe the way children play and how play benefits their development. Some of the Company’s best-known “classic” brands include Little People, Power Wheels and View-Master. Fisher-Price is also a leading developer of baby gear products (infant swings, bouncers, high chairs, nursery monitors), as well as a wide array of character-based toys inspired by high quality children’s programming such as Thomas & Friends, Dora the Explorer and Mickey Mouse Clubhouse. The Company’s web site, Fisher-Price.com, provides valuable information and resources to parents. Fisher-Price has offered to sponsor a giveaway for a Chatter phone application. I have a code to give someone and this code will expire tomorrow. So, to enter, just comment...I will give the application to the #50 comment. Good luck! This review was provided from Fisher Price. They have provided me with a free iPhone app to review and information to share with my readers. I was given the product for my personal opinion and option to share with my readers. I was not compensated for my time or written review. I was given a application code to offer as a giveaway for my readers as a part of this review. I am a HUGE cuddler, and most people know that about me. I love giving hugs, and receiving them! I just heard of a super contest for a blanket that is made just for cuddling!! Have you heard of a Nuddle? I just found out what a Nuddle is, and I would LOVE to have one!! Let me tell you about them. The Nuddle, Nap+Cuddle= Nuddle, is a plush, comfortable, and cleverly functional lounging blanket. The blanket will wrap you in pure plush happiness year round. Next to a hug, there's nothing cozier than Nuddle, Nuddle Kids, and Nuddle Baby. The double-sided design features an exclusive foot pocket, outer hand pouch, and openings to keep hands free for reading, snacking or just napping! This Mother's day, 20 lucky moms will win $25 each in Nuddle money to purchase a blanket of their choice!! From now until Mother's Day just log on to "Nuddle Blanket" on Facebook and become a "fan" and tell us your perfect way to get cozy - you will be automatically entered in the Mother's Day Raffle. Remember, no matter if its 20 below or the middle of summer everyone loves to be cozy so we welcome you to visit Nuddleblanket.com and visit Nuddle on Facebook. Good Luck and Happy Mother's Day! Since Caleb is really getting into all the big trucks, diggers, dozers, and other really "awesome" machines (as Caleb says)....I love that John Deere has their own DVD video out! 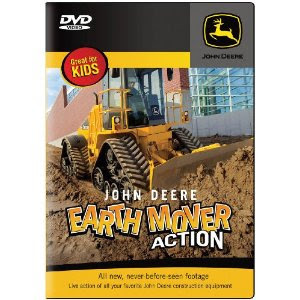 TM Books & Video releases the all-new John Deere Earth Mover Action rumbling onto DVD April 13, 2010. This 40-minute tribute to big-machines – excavators, front-end loaders, graders, scrapers, and backhoes, includes a fascinating look at John Deere’s newest – the fast, powerful, four-track 764 Dozer. My son was just thrilled to watch this DVD and he just couldn't get enough of the big machinery moving all that dirt, and snow. Caleb was amazed that the big machines could do what they do (and frankly, I was quite amazed with this DVD, too). John Deere big machines work hard in interesting places like: a grader plowing snow in the Rockies, excavators digging dirt and loading big articulated dump trucks, dozers climbing hills and pushing dirt, front-end loaders moving big rocks in a quarry, and more! This is a great DVD for those kids that love to see action in large machines! The powerful, big-time earth-mover action that will thrill and delight young and old alike. The viewer will learn interesting facts about these mighty vehicles and play the “Let’s Pretend” game where young viewers imagine being the operator of an earth-moving machine. Stop-action segments feature die-cast toys and articulated super heroes mining candy at the Big Rock Candy Mountain Quarry. Sing-along to all-new toe tapping tunes by award-winning singer/songwriter James Coffey. Kids will learn, laugh, and want more. John Deere Earth Mover Action, recommended for ages three and older, is now available for a suggested retail price of $14.95. To order, call toll free 1-800-892-2822 or visit TMBV.com. Since October 2005, TM has produced 12 titles for John Deere and has sold over 600,000 DVDs. TM is licensed by Caterpillar, John Deere, Boeing, Lionel and Chicago’s Museum of Science & Industry to produce educational and entertaining family shows. TM specials have appeared on network TV, PBS, and cable stations around the country. Their flagship series, I Love Toy Trains, has sold nearly 3,000,000 copies, the most ever for an independently produced children’s show. Sales have been fueled by rave reviews in the national media (USA Today, People Magazine, Disney’s Wondertime Magazine, New York Magazine, LA Times, Chicago Tribune, Washington Post, Amazon.com, and the Library Journal), the recommendations of librarians, and enthusiastic word-of-mouth. 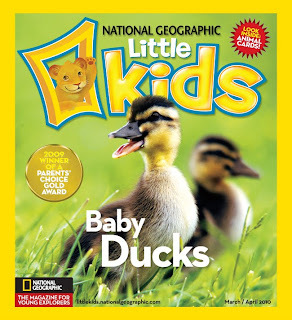 Awards include the prestigious Parents’ Choice and the Parenting Magazine award for excellence. This review was provided from TMBV.com. They have provided me with a free DVD to review and information to share with my readers. I was given the product for my personal opinion and option to share with my readers. I was not compensated for my time or written review.